Receiving handmade gifts is such a blessing! It is such a blessing, especially if it comes from a package delivered from halfway around the world! One of my good friends from the Philippines, David, recently got into crocheting and made two long and beautiful scarves! When he told me I could expect to receive his very first crocheted creations, I was floored by his giving nature and sense of kindness. Holding the physical package in my hands for the first time was a truly heartwarming experience! It didn't take long for me to open up the parcel and find this beautiful, rustic-looking box within! How beautiful is that?! Firstly, I love neutral and earthy tones, and the shiny, golden tree in the middle was just lovely! Opening up the box, what I found within was an even more pleasant surprise! Two very gorgeous, neatly-stitched and neatly-folded scarves! An amazing and warm aroma of autumn came with, too. David later told me that he had scented the box with a spiced Chai tea bag -- what a thoughtful addition! I pulled out the scarves and tried them both on. They were so very warm and snuggly, and my neck felt like it was wrapped in a hug! Both scarves have the perfect drape to them, and the colors are so suitable for the incoming autumn season. 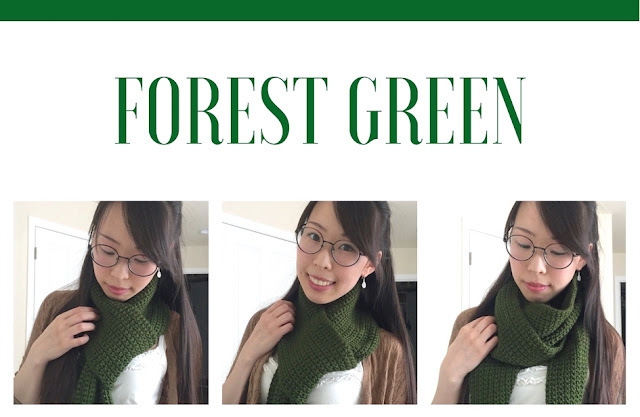 I really like this deep, forest green, which is perfectly featured in a single, solid color on this scarf. 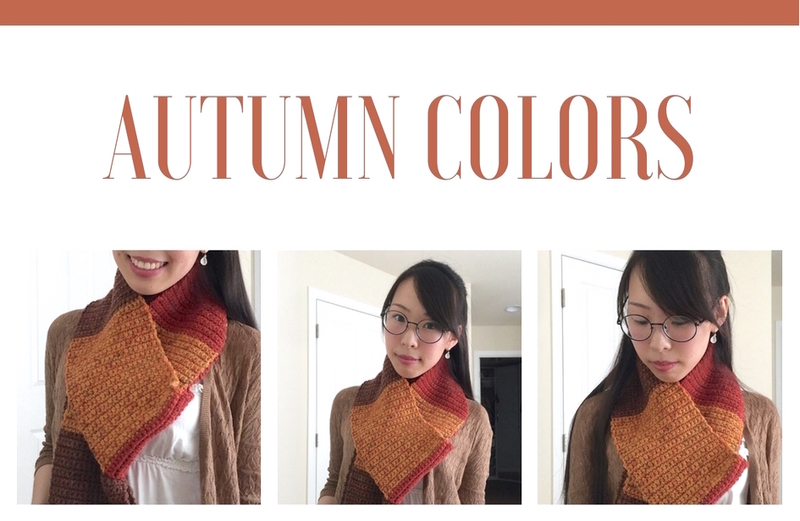 I also can't get over how gorgeous this autumn-colored scarf is! I really love muted colors, and the block-pattern on this scarf with the yellow, red, and brown, go perfectly together. This scarf will help me blend right in with autumn leaves! Needless to say, I absolutely adore both scarves with a passion. Tremendous, heartfelt thanks to David for making and gifting his very first crochet creations to me of all people! I'm touched by your act of kindness and will treasure these scarves for a lifetime.